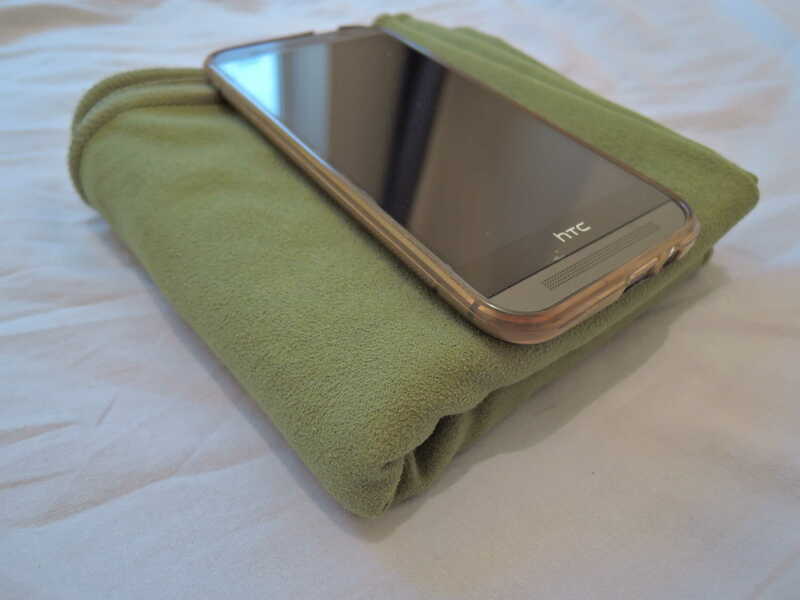 An absolute must for me whenever I leave for holiday is a towel. Hotels always provide them but unless they’re whiter than the milk and look fairly new, I prefer my own. But when staying in a hut you don’t have this luxury. I used to carry a classic cotton towel back in the days until I discovered microfiber. There are a lot of brands to choose from at different prices, but ultimately isn’t much difference in their performance. Sunland Microfiber Travel Towel is one of them. Unknown brand, probably made in an Asian country. Comes in different colours and sizes and priced accordingly from £6 to £14. I have chosen a 120 x 60 in Dark Green. 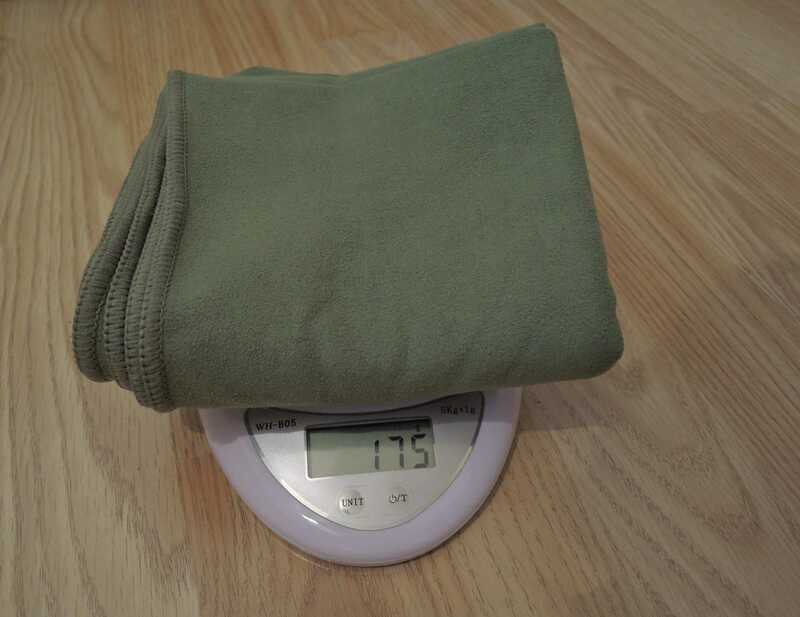 The size is just about right for a body towel and for its 175g. It packs in a small carry bag, which I personally never used it. I mean I’m trying to cut down the weight not add more. Takes the equivalent space of two bananas. Would have been nice to packs smaller though. The material is synthetic ( 80% polyester – 20% nylon) but somehow soft, at least at first uses. It features a loop in one of the corners for easy hanging. When buying a product my theory is that you get what you pay for. And most of the time is kind of true. Yes there are exception but this is not one of them. I have purchased the Sunland Microfiber Travel Towel last year before leaving for TMB and since them has been used a dozen times. It does the job and absorbs the water. There is however a small disadvantage of using synthetic. The skin is still humid. It dries in a couple of hours if it’s sunny, and even left indoor overnight it was dry by morning. While some people complained about the fabric smell I have not experienced this. Washing it is another story. Considering the colour I had suspicions that the colour might come out and I hand washed it. Good thinking as the water became green. Even after so many washes there is still a shadow of green, therefore not ready to be mixed with other clothes. A bit of hassle if you use it a lot. There is no antibacterial treatment but even after 1 week of use didn’t seem to have any bad odour. While a major negative point is the washing experience I still think is not a deal breaker. After all it doesn’t cost a fortune, does the job and without being too heavy. In the end it’s all about personal preferences and how much are you willing to compromise vs how much are you willing to spend. If you fancy a known brand, with odour treatment have a look at Lifeventure Micro Fibre Comfort Travel Towel.